Each of our rooms bears the name of one of the nine Muses. 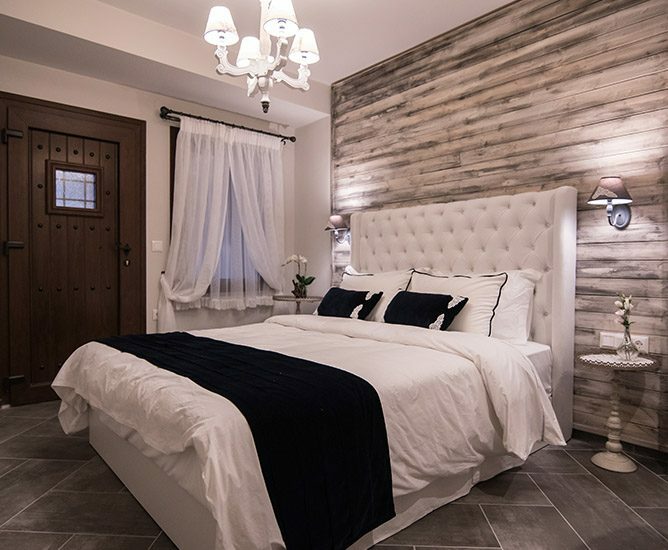 The cozy rooms of Mythic Valley offer their guests relaxation through spaces that manage to combine traditional architecture with modern design through special styles. Underneath the impressive Olympus, the home of God’s, spreads out the picturesque Litochoro. Unique and distinct beauty destination for all lovers of mountain, nature and sea. You can find us in the center of Litohoro, alongside the main road, well connected with the traditional architecture of Litohoro. Two stone buildings (one building was built in 1930 with stone boulders 60cm), came together to create a special place suitable for rest, relaxation, rejuvenation and -why not- for adventure, fun and entertainment, as well as around our hostel are various shops with traditional products and local delicacies, bakeries, taverns, cafes and bars. Also, on the parallel main road there is a stop for the daily transport of the village with the city of Katerini (20Km).